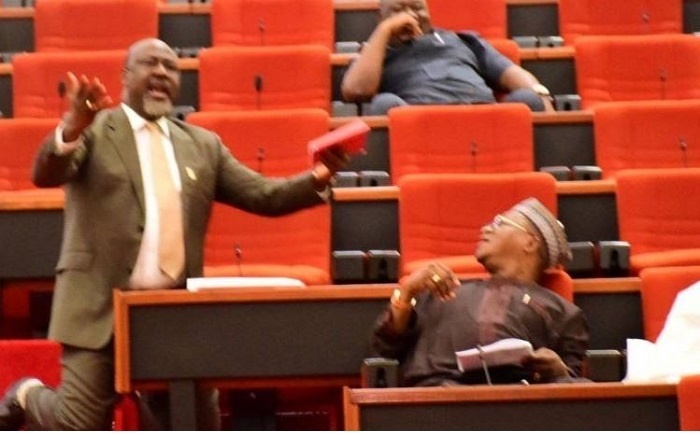 The controversial Senator representing the Kogi-West senatorial district, Dino Melaye, on Wednesday put up another drama during plenary while asking for help for his state. In a picture posted on his Instagram page, he was seen kneeling and begging others to help Kogi State. According to him, Kogi workers are suffering and need immediate help from an external body. The senator has been at loggerheads with the Kogi State Governor, Yahaya Bello. The face-off that snowballed into a recall process being initiated against Melaye by Independent National Electoral Commission (INEC).